A First for Everything : Monday Made it- Yipee! 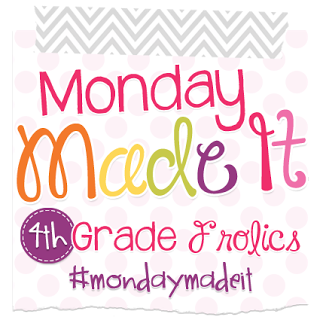 Tara from 4th Grade Folics launches her annual "Monday Made It" linky. I believe she has the linky monthly during the school year but I'm only somewhat creative in the summer when I have more time. I love Americana décor. A friend had found the bunk bed ladder at a yard sale and painted it a greenish color for me since I was unclear how I was going to use at the time (our house was under construction). Then I found the pic below on Pinterest from Especially for you Home Décor and had an "aha" moment. I would like to say that I sanded the ladder and spent hours making this but I didn't. I simply re-painted it with a semi-gloss white paint and waited a few hours for it to dry (because I'm really impatient). 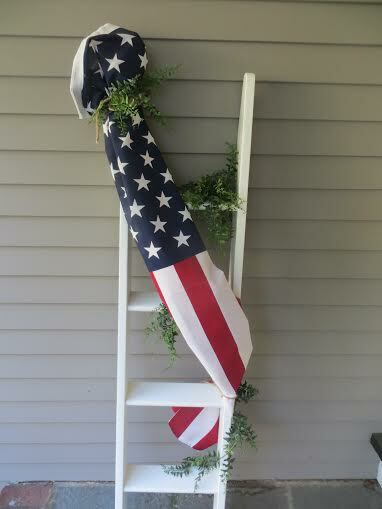 I found the flag at a local hardware store for $14 and wrapped it around the ladder and tied it with jute string (raffia would probably look better but I didn't have any in the house). I had some fake (don't judge) greenery that I had laying around that I had bought from Michael's and weaved it around the jute string and the rungs of the ladder and called it a day. 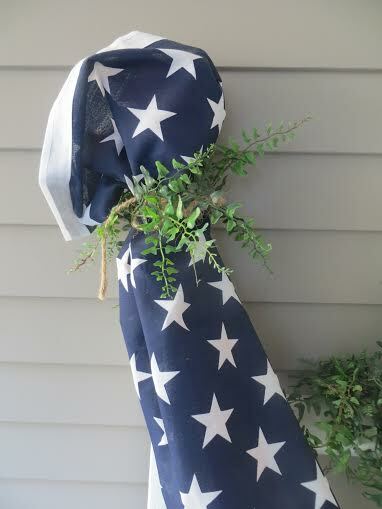 Now I have an adorable Americana decoration for my front porch to enjoy this summer when I'm sipping wine on the front porch with my book. It's 8:00 AM. 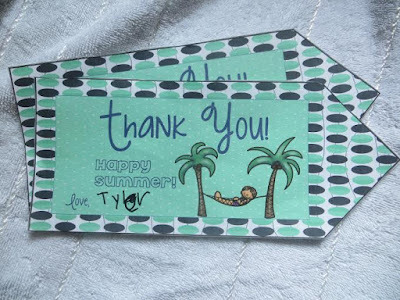 I'm supposed to take my son to school at 8:15 and realize he has no gift tag or card to accompany his gifts for his teachers. Ooops! 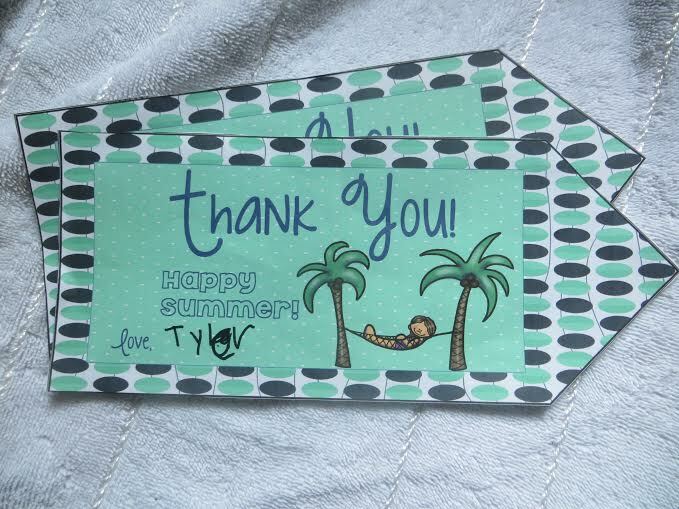 Do you use your clipart to make your own gift tags? I never really thought of it before. I just purchase it to make TpT stuff. But this morning, in 10 minutes, I designed, printed, and added a tag to the gift bag by 8:12. Phew! When I recover from the school year I'm hoping to have some more creativeness to share. Right now, I'm still in my PJ's (yup...dropped my son off to school while wearing them). 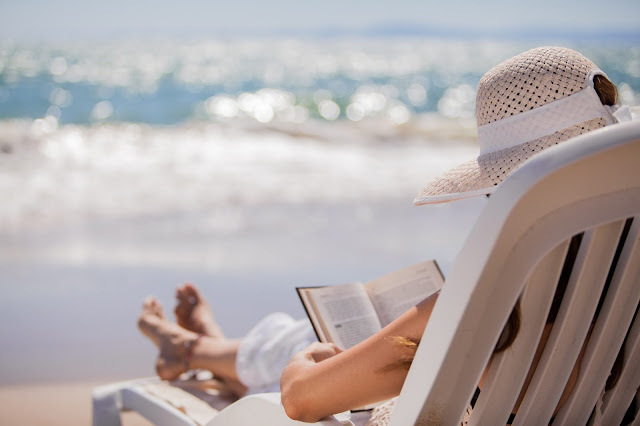 Have an awesome summer....because you can! 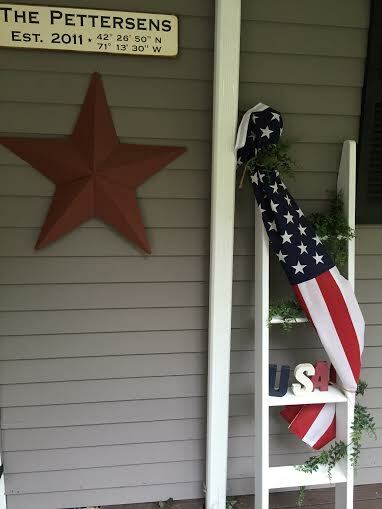 I love your Americana decor! Soooo cute!